Our standard and custom wood mouldings, thresholds and transitions make that remodeling job a breeze. We stock several species in standard profiles listed below; all species are available. We also will develop cutting knives to produce your custom profile. We also have 3/4” Cove and 3/4” x 5/8” Scotia in our standard profile list. 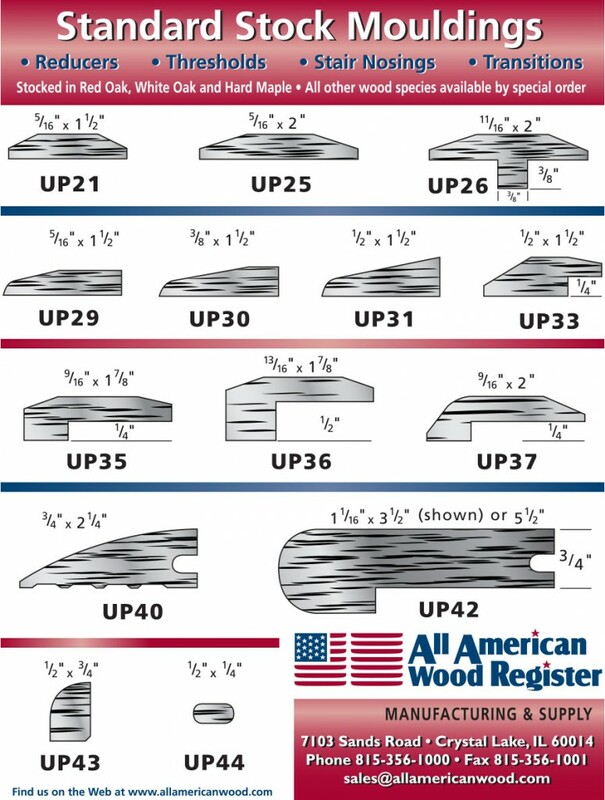 © 2019 All American Wood Register - Manufacturing & Supply.